Before we started working on the twin’s nursery, Mike and I really wanted to make sure that the older kids weren’t forgotten. We have been in our new house now for over a year and we wanted to make sure that Holden and Beau had beautiful completed rooms that reflected their personalities. So, it was project kids rooms throughout my whole first trimester. I relied on Mike a lot to do the painting and implementing but as you will see, I used a lot of my hours I logged on the couch while super sick crafting. Mike and I were feeling a bit of guilt when it came to Beau’s room. She was getting evicted from her huge room with an ensuite and window seat into a much smaller room and a jack and jill bathroom she would be sharing with her big brother. The funny thing is, she loves her new room so much more than her old one. Beau “the destructor” was constantly tearing apart her old room. Her new room is so pretty and really reflects her vibrant personality that she takes so much pride in it and hasn’t even thought about trashing it. Beau’s third birthday was fast approaching and we made sure that we made a big fuss with a ballet themed party since she had been a bit shafted last year. 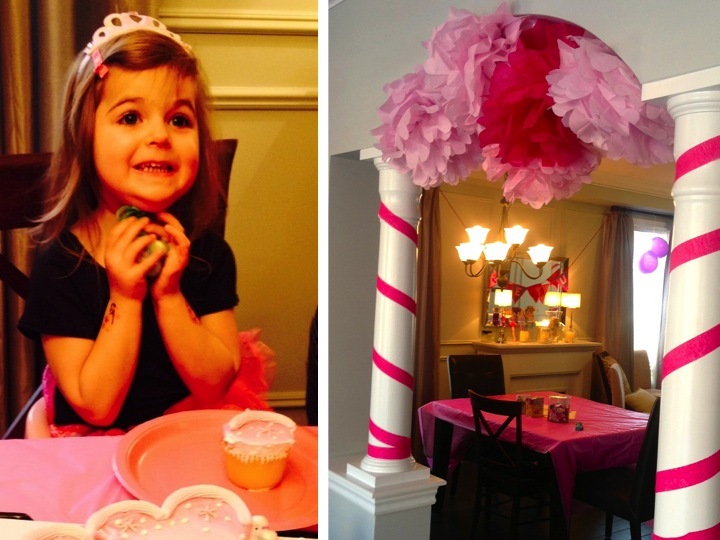 I used that opportunity to created tissue paper puffs, and a customized BEAU felt banner that I could double as decor for her party and her room. In the end we are beyond thrilled with the outcome! I mixed some prints to give a more eclectic bohemian vibe. I used a series of flower art, a yarn wreath and button “B” I created along with a gifted piece of art to create a small gallery wall. The tissue paper puffs work beautifully in the corner. 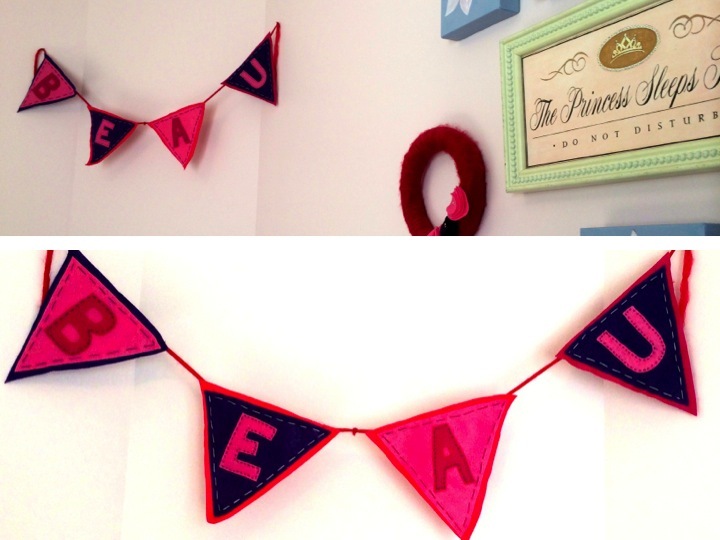 The felt banner worked so well both for Beau’s party and for her room! 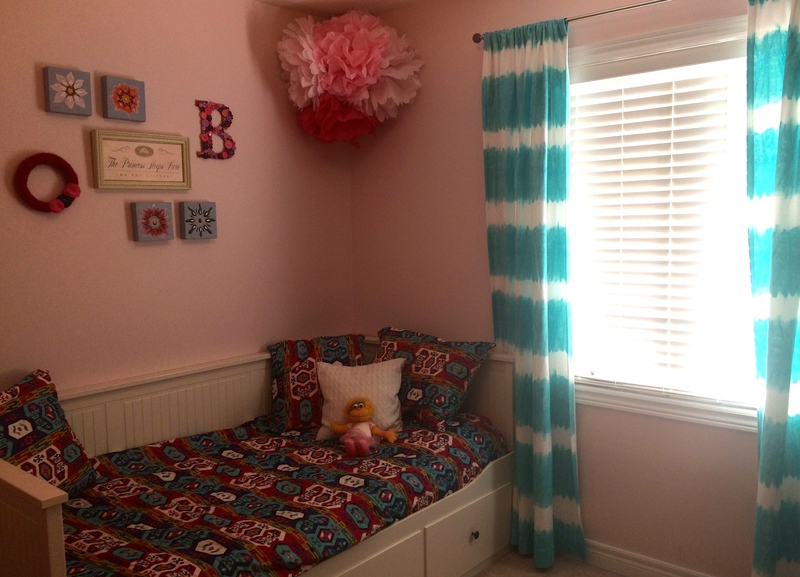 One last DIY I did for Beau’s room was I transformed her existing lamp. 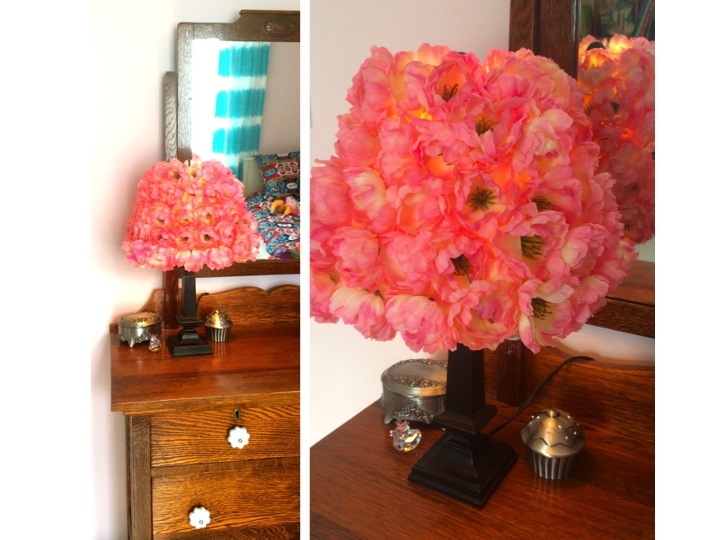 Inspired by Pottery Barn Kid’s floral lamps I ended up hot gluing a ton of faux flowers onto her plain lamp shade and was thrilled with the outcome! Beau is just so cute! Love that pic of her so happy at her birthday party. What a sweet ballerina. 🙂 The new room looks great, esp. 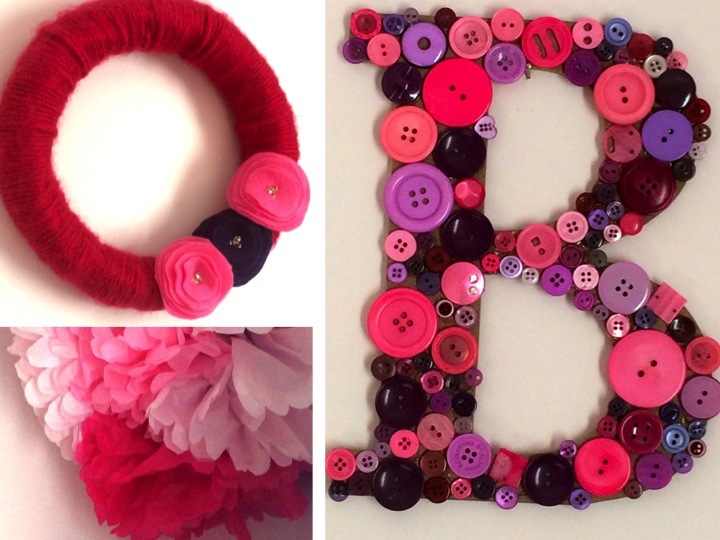 the “B” sign with the buttons and the floral lampshade. No wonder she is so proud! Nice work. 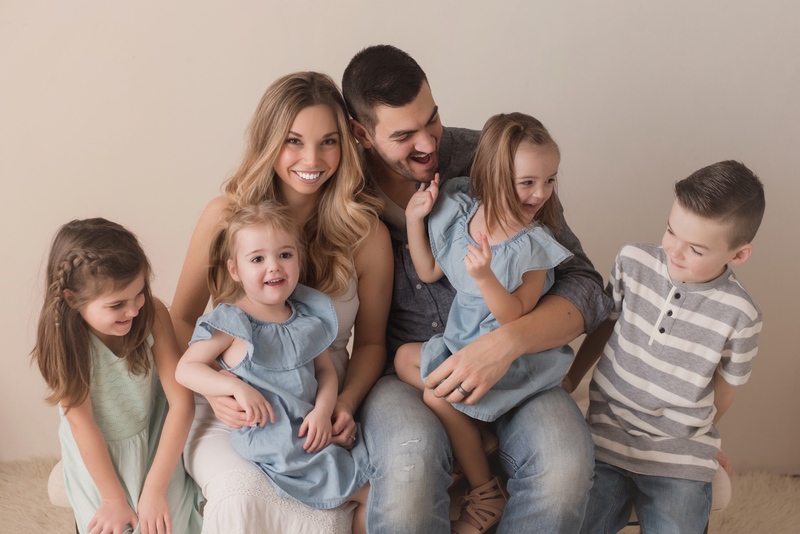 Next Next post: Sunny Twins Nursery and Names Reveal!